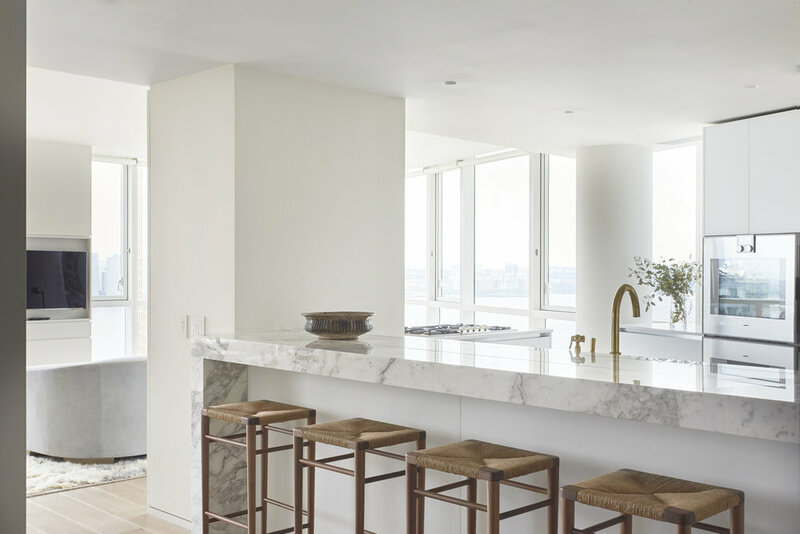 Tasked with combining two Tribeca apartments into one, A + C Architecture teamed up with design duo Adele Abide and Sarah Norwood of VLY Studio to accomplish a light and bright interior remodel. J Geiger's R Series Shading System was highly recommended to VLY because of its modern, industrial aesthetic. 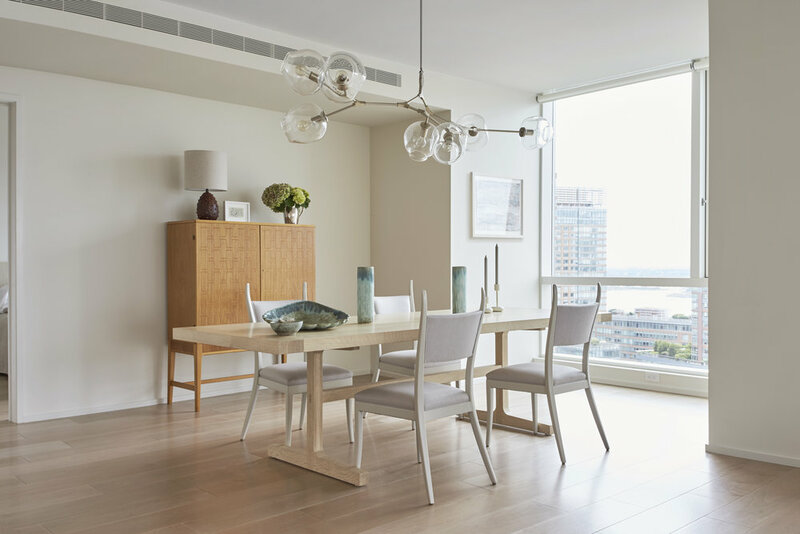 Bright white window shades paired with solid aluminum hardware blend seamlessly with VLY's design and become virtually invisible when the shades are open.